This course is part of the library and is free to use with all qualifying subscriptions. 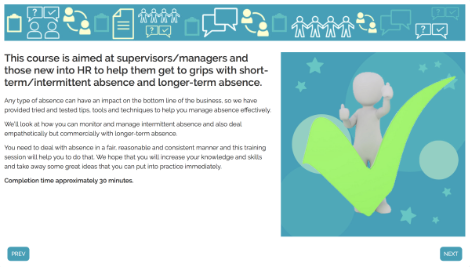 This course is aimed at supervisors/managers and those new into HR to help them get to grips with short-term/intermittent absence and longer-term absence. This course should take approximately 1 hour to complete.